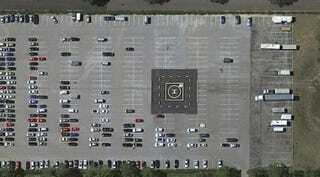 This parking lot has a helipad smack dab in the middle of it. That is all. You may resume your normal Oppo now.